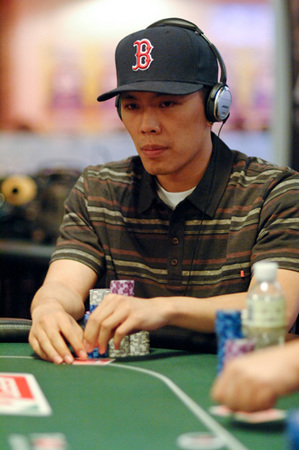 Nam Le is a poker player of Vietnamese descent, and was born in Irvine, California. He has a birthday of September 10, but nobody really knows the year. Nam Le may be the cousin of Tuan Le, who has won three World Poker Tour events, but we haven’t been able to ask him. They may also just be good friends. Tuan helped teach Nam how to play poker, and Nam has proven that he has learned his lessons well. 1st place – Scotty Nguyen Poker Challenge II for $204,579 on July 18, 2006. 2nd place – 37th Annual WSOP Event #6 ($2000 NL Holdem) for $401,647 on July 1, 2006. 2nd place – Scotty Nguyen Poker Challenge III for $101,406 on May 27, 2007. 3rd place – 38th Annual WSOP Event #35 ($1500 NL Holdem) for $239,230 on July 21, 2007. 1st place – 2007 Foxwoods WPT Finals ($1000 NL Holdem) for $145,427 on November 1, 2007. 4th place – 2008 LAPC Main Event ($10,000) for $411,770 on February 28, 2008. 1st place – APPT Macau Season 2 High Roller event for $474,742 on September 6, 2008. 2nd place – Festa El Lago for $943,215 on October 25, 2008. 5th place – Epic Poker Season 1, Series 2 for $126,570 on Sept 6, 2011. Nam Le has made the money 8 times at the World Series of Poker, although none are considered to be noteworthy. Nam Le lives in Huntington Beach, California. Nam Le will continue to be a winning poker player, and probably has some more major victories waiting for him.